With so many 55 and over communities in FL to choose from, why become a resident of Lake Griffin Harbor? One of the biggest advantages that our 55+ community offers is a sublime location right on shores of beautiful Lake Griffin, part of the Harris Chain of Lake and a notable bass fishery that is popular among anglers. Lake Griffin Harbor is popular among retirees who enjoy spending quality time on the water, whether it’s for the purpose of catching a trophy largemouth bass, going for a lazy afternoon boat ride, or going on a more extended journey up the St. Johns River or even out into the majestic waters of the Atlantic Ocean. Our community is a boater’s paradise that has a 55-slip marina onsite, a boat ramp with direct lake access, and a gated boat storage area for the protection of your vessel. Off the water, Lake Griffin Harbor also compares quite favorably to other 55 and over communities in Florida. For example, we offer an excellent selection of pre-owned manufactured homes with stunning lake views. 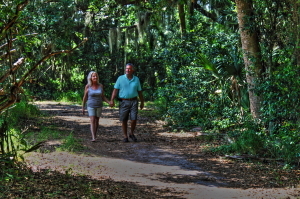 Lake Griffin Harbor is a 65-acre gated retirement property that is exquisitely maintained and populated by those who want to live inside of a housing development that caters specifically to retirees. Our large waterfront clubhouse is a welcoming venue for residents who want to spend time together and have fun. Clubhouse amenities include a large banquet hall, fitness center, library, billiards tables, shuffleboard courts, and a heated outdoor pool. Contact us today if you’d like to learn more about Lake Griffin Harbor and why it is arguably one of the best 55 and over communities in FL.